Associated with high end quality and a price tag to match it, Sidchrome's brand loyalty was strong with an older generation of lifelong supporters. However they weren't gaining traction with the growing, younger markets. MANBRANDS were asked to develop a campaign to refresh the brand and engage this new generation of automotive mechanics. MANBRANDS responded to this brief by going straight to the target market. We engaged automotive TAFE students at Chisholm Institute to restore a dilapidated Volkswagen Kombi. The restored Kombi became a pimped out version of an original Kombi, complete with Sidchrome branding. 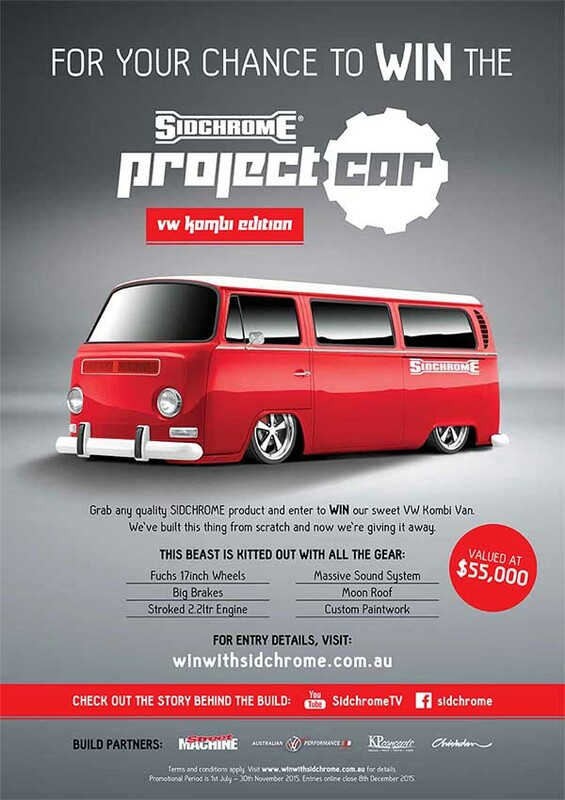 ManBrands then created a competition to win the finished Kombi which included a website build of the site winwithsidchrome.com.au for project and entry details. 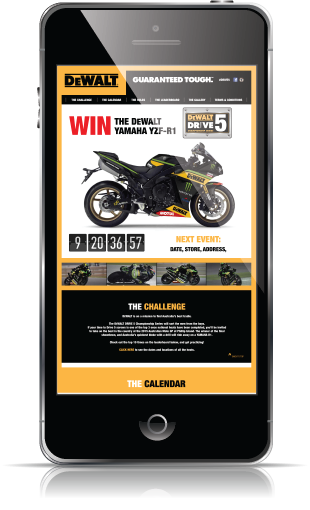 In conjunction with national point of sale kits promoting the project and competition, Street Machine magazine was engaged as a media partner to run print media editorials promoting the campaign. One of Street Machine’s key contributions was to produce a series of videos documenting the journey from dilapidated Kombi to pimped out Sidchrome Kombi. 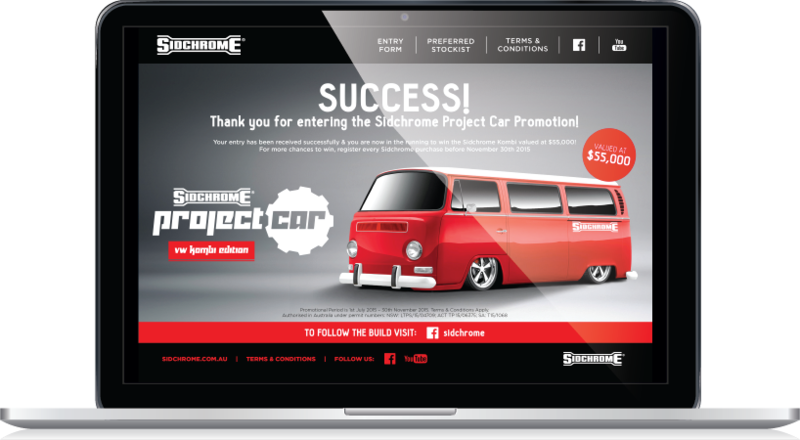 The Sidchrome Facebook page received 13k+ new likes, 107k+ people engaged in Australia and 1,254 total competition entries. Top videos on Facebook received 100k+ views each, with the Street Machine video series receiving 84k+ views across YouTube, Facebook and on its website, generating 2k+ clicks through to Project Kombi content via EDM. Street Machine's print ads reached 695k people. ALLPOWER are one of the largest distributors of professional and domestic grade outdoor power equipment in New Zealand and Australia but were struggling to compete against the big players in the market. MANBRANDS were asked to devise a digital strategy to generate consumer knowledge and brand awareness in order to drive more people in store and online. 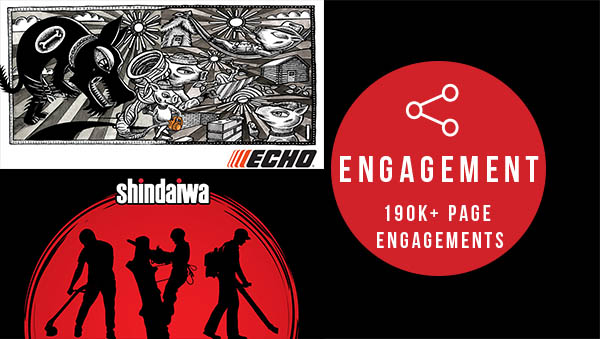 ManBrands launched three Facebook company pages and formulated individual brand identities for ALLPOWER’s largest brands – Echo, Shindaiwa and Gravely - whilst leveraging the existing ALLPOWER Facebook page to direct potential customers to the new company pages. Dynamic, original and targeted content was then developed for each brand’s page to engage the respective audiences. We then used lead generation applications to run strategic social media promotions designed to build a robust database for Electronic Direct Mail (EDM) remarketing in conjunction with SEO and SEM. Within six months, the four pages grew by 14.7k users with a total reach of 1.7 million people, 190k+ engagements to the specific target markets, 700k+ video views. DeWalt know their power tools are the best in the market, but they needed to get them in the hands of the end users. 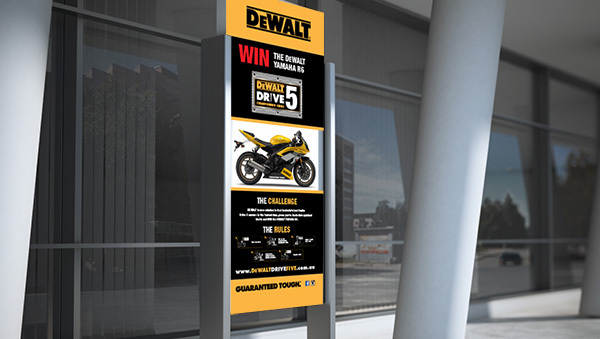 In 2015, MANBRANDS worked with DeWalt to bring to the market the DeWalt Drive 5 campaign, which involved a national roadshow searching the country for the fastest tradie to drive five screws into a piece of wood using a DeWalt drill. The three fastest tradies won a trip to the Moto GP on Phillip Island to play off against each other along with one wildcard entry. 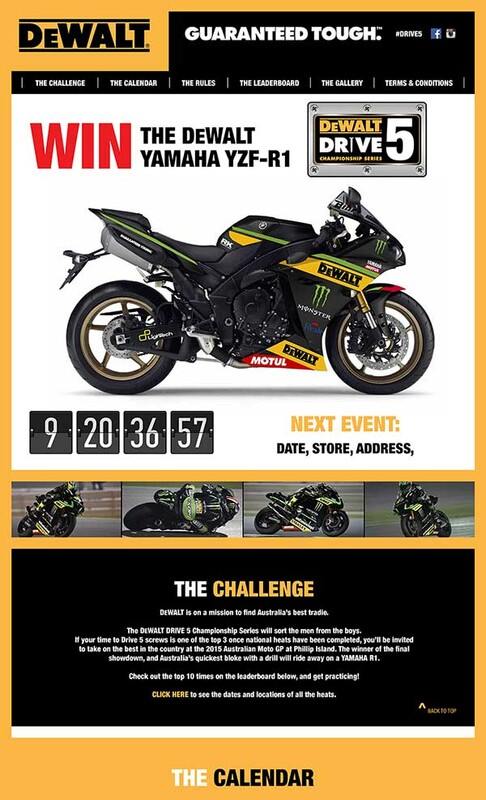 The winner was crowned DeWalt’s fastest tradie and awarded with a $20K DeWalt branded Yamaha motorbike. The campaign was hugely successful and attracted a lot of hype. But what if people who wanted to compete couldn’t make it to these events? MANBRANDS built on the success of previous years by adding a wildcard entry option, which gave people who couldn’t make it to the events the chance to enter in the final round at Phillip Island. Engagement at the events had been strong, but adding the wildcard option was a creative way of engaging a broader market base via social media channels. Engagement at these events was huge and created a lot of hype around the competition. The optional wildcard entries increased the national database by 1,000 people and the Drive 5 competition has now taken on a life of its own, becoming somewhat of a sub-brand for DeWalt and will be reprised annually. EXEDY have been leaders in the clutch industry and of new clutch technology for over 20 years, boasting a high-quality range of different clutch applications that they supply to the auto aftermarket, as well as having an incredibly active profile in the world of Motorsport in fields such as F1, V8, Drift and MotoGP. 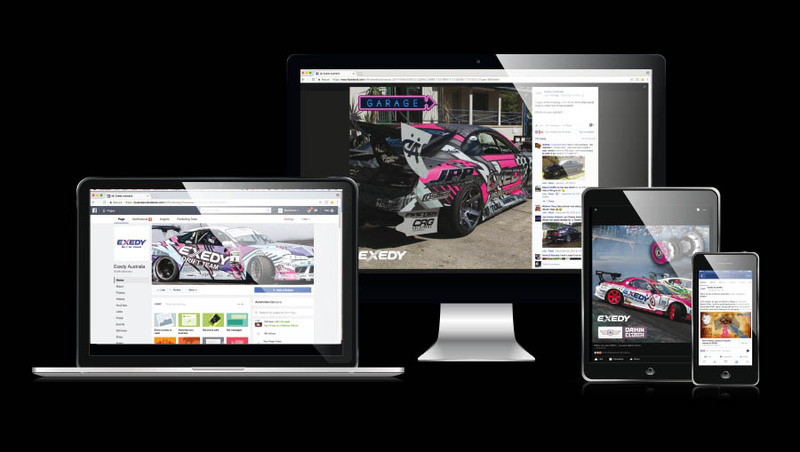 EXEDY came to ManBrands in need of a digital strategy to reach more potential customers regarding their dynamic range of clutches and to begin building a community that leveraged their lively involvement in Motorsport. In May, 2016, ManBrands took hold of the official EXEDY Facebook page which at that stage had 3k followers and was lacking engagement. The ManBrands team devised a unique strategy, drawing upon their invaluable experience in the automotive market. Creating and delivering original and dynamic content to carefully constructed audiences, ManBrands aim was to ultimately boost customer awareness about the overall high-quality and function of the EXEDY clutch range, with an emphasis on directing them to the EXEDY website. 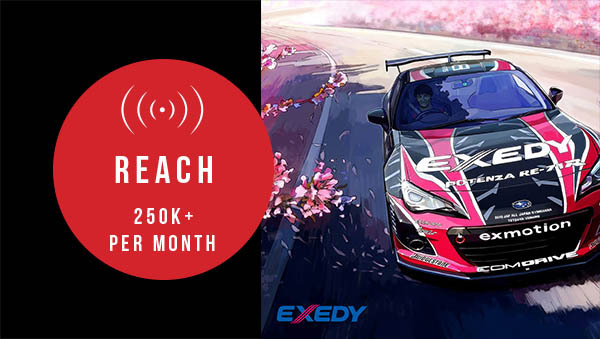 Strategic promotional campaigns were also designed to give back to the EXEDY community with relevant prizes, and to draw new fans to the EXEDY page while continuing to develop a robust databse for future EDM campaigns. EXEDY’s unique brand personality allowed for a versatile and engaging variety of creative output and has been a cornerstone of the ongoing success of the page. 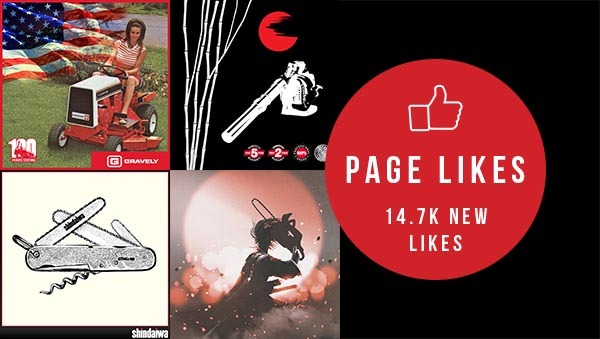 Within the eight months of ManBrands managing the EXEDY Facebook page, there has been exponential growth of fans on the page with over 14k new likes. The page now reaches 250k+ people per month and has had 340k+ video views, and garnered 40k+ post engagements. ManBrands set about creating concept drawings of a 6m x 6m stand that creatively captured their three hero brands (Stanley, Sidchrome & DeWalt). These drawings were especially focussed on branding via a massive 3m x 4m Overhead Banner, which would differentiate them from other exhibitors. MANBRANDS successfully built and project managed the stand conceptualisation, build and logistics to 4 locations Nationally including labour, bump in and out of each location and transportation. MANBRANDS also ensured that each hero brand included rig units that allowed for demonstrations and gave attendees the opportunity to use their products and see the benefits for themselves. The stand was a magnificent structure which towered over other retailers exhibiting at the event. MANBRANDS designed a durable and flexible option that has lasted Stanley Black & Decker three National Roadshows (2014, 2015 & 2016). Feedback from attendees was really positive commenting on the visibility of the Stanley Black & Decker Stand at these events and the fact that they were able to touch and feel the product for themselves as an awesome outcome. Traditionally, cabin air filters have been unable to filter fine particles out, causing significant health concerns for vehicle consumers. Ryco identified an opportunity within the cabin air filter market to deliver an innovative new product that would remove fine particles from vehicle cabins. As this was an unexplored market in Australia, Ryco required a multi-faceted solution that would both educate the marketplace and drive sales within the automotive workshops, resellers and motorists target markets. MANBRANDS designed and executed the integrated “Breathe Easier” Cabin Air Filter campaign. Trade & Consumer Competition: A competition was designed to incentivise automotive workshop owners and mechanics to fit Ryco Cabin Air Filters, whilst a chance to win as a reward for purchase was targeted at consumers. 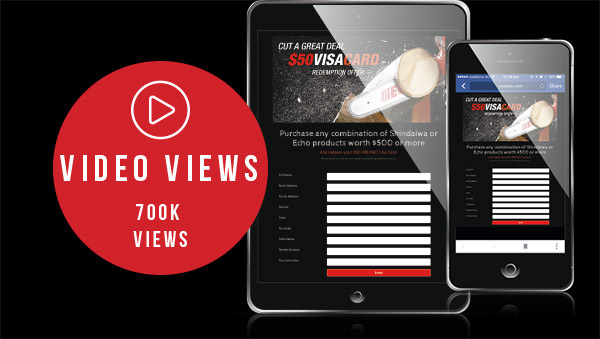 A significant prize pool of $40,000 was split evenly between trade workshops and consumers, awarded to the winners on a monthly basis in the form of $1000 VISA gift cards throughout the six month promotional period, maintaining excitement and engagement. Below the Line: Over 2000 comprehensive trade packs featuring Point of Sale items were produced and delivered to the mechanics channel to engage and educate the fitters and end users. Above the Line: To raise awareness within the market of the cabin air filter category and Ryco’s innovative response to it, a targeted media campaign was executed across Trade Press, Consumer Press and Radio. Digital & Social: To further support the promotion, a robust digital channel push that included a social media campaign targeted at trade and consumer markets, an Electronic Direct Mail (EDM) series and a Search Engine Optimisation campaign was implemented. The campaign delivered significant results against the objectives for Ryco in terms of increased sales, increased workshop and consumer database and engagement and education to the target audiences.